After lots of work by Chrome for Android team and a huge change, Chrome for Android is now almost entirely open source, a Google engineer announced in Reddit. Over 100,000 lines of code, including Chrome's entire user interface layer, has been made public, allowing anyone with the inclination to do so to look at, modify, and build the browser from source. Licensing restrictions prevent certain media codecs, plugins and Google service features form being included, hence the "almost." This is on par with the open source Chromium browser that is available on the desktop. 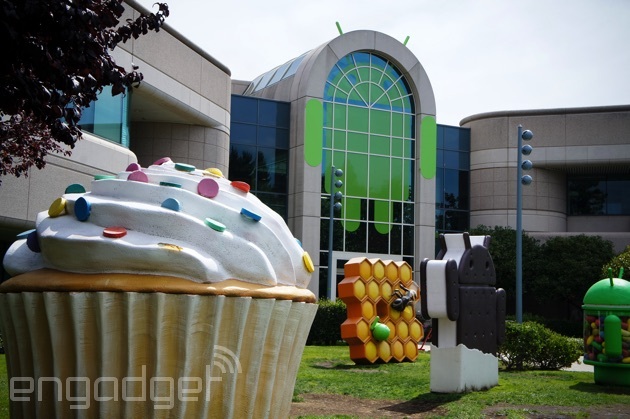 Android is getting a TouchID-style system of its own with Android M, according toBuzzfeed's sources. Apparently it'll act a lot like the iOS tool too, bypassing passwords for associated apps in favor of reading your fingerprint. Given that I/O is practically right around the corner (next week!) it shouldn't be long before this all gets confirmed -- Google hasn't responded to our request for comment just yet. Android's factory reset function isn't as effective as we'd all like it to be, according to a team of Cambridge University researchers. 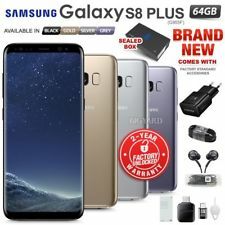 The group estimates that as many as 500 to 630 million Android devices might not be capable of completely wiping the data saved in their internal disks and SD cards. They came to that conclusion after testing 21 devices running Android 2.3 to 4.3 from five different manufacturers that already went through factory reset. During their tests, they were able to recover at least part of the data stored in each sample device -- even if it was protected with full-disk encryption. 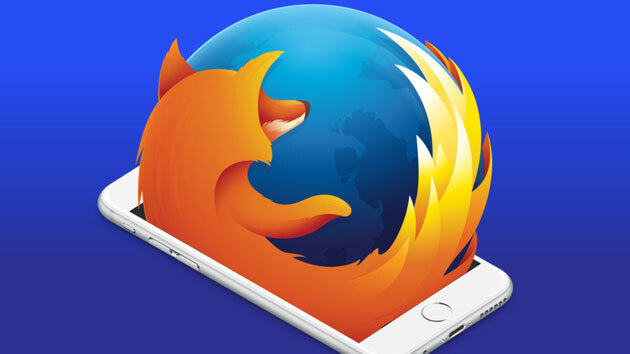 It's been a long time coming, but Firefox for iOS is nearly here... in a manner of speaking. Mozilla has revealed that it's about to conduct a "limited" beta test of the web browser, and has already posted source code for early testers. The organization would like to have an open beta that gives everyone an early peek (à la Android), but that's not really possible with Apple's current testing mechanism. Still, a public release is likely close behind -- if you're not a fan of your iPhone's existing web surfing options, you'll have another major alternative before long. Outside of one or two exceptions, most Firefox OS devices have been aimed squarely at the budget crowd -- at folks who would otherwise have to entirely forego smartphoness or tablets. However, Mozilla is ready to switch things up. 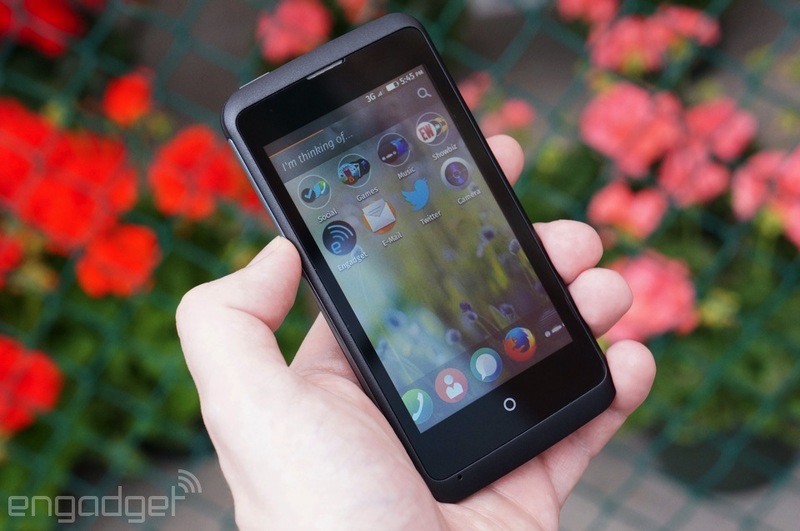 The organization has unveiled a new strategy, Ignite, that should lead to Firefox OS gadgets you want to buy "because of the experience" rather than the price tag, according to CEO Chris Beard. Just what that entails isn't clear, but there's little doubt that this means a shift toward higher-end (though not necessarily flagship-class) hardware. After a year and a half of development, the Neo900 project now opened its web shop for the down payments of binding pre-orders for either a full Neo900 phone or the bare circuit board to upgrade an existing Nokia N900. The up-front down payment is necessary to now secure expensive "risk parts" like the modem, 1GB RAM and N900 cases. Thus, without pre-ordering now, there might not be enough parts left after the first batch. The Neo900 is the spritual successor of the Nokia N900. The new circuit board can be placed into an existing N900 for better specs (faster CPU, more RAM, LTE modem) than the original device while still maintaining fremantle (maemo 5) backwards compatibility. 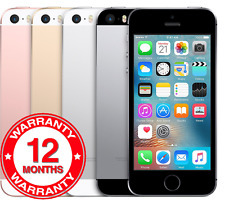 Alternatively, a fully assembled phone can be purchased as well. The Neo900 will be fully operational without any binary blob running on the main CPU. While the modem still requires a non-free firmware, it is completely decoupled from the rest of the device (think of a LTE usb stick you put in your laptop) and can reliably be monitored or switched off by the operating system. 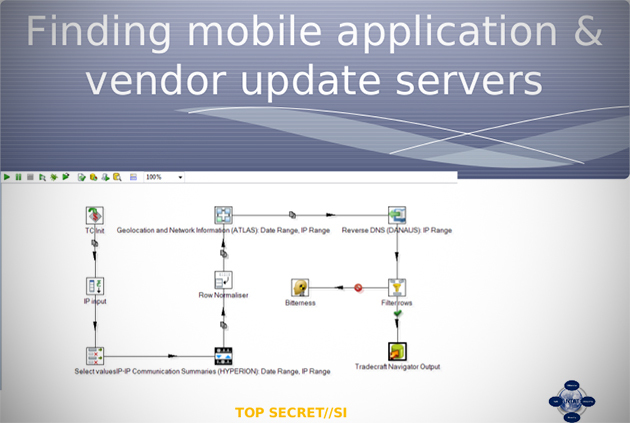 It shouldn't come as a surprise to hear that the NSA worked on iOS and Android malware meant to capture information from a target's phone, but actually getting the software onto phones? That's tricky. To help solve that problem, the NSA (and the rest of the Five Eyes intelligence community) attempted to hijack data being sent to and from app stores like those run by Samsung and Google. According to a document leaked by Edward Snowden, obtained by The Intercept and published by the CBC, it was mostly in search of a way to implant secret surveillance payloads into those data connections in hopes of identifying an Arab Spring in action in other countries. 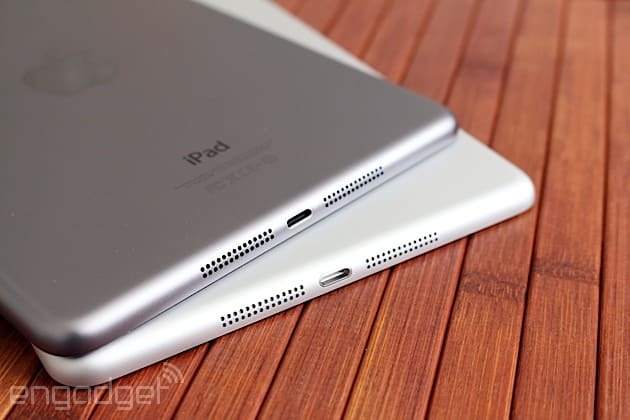 Still holding out for a larger iPad? Well, you're certainly not alone. Thanks to new details from 9to5Mac, it looks like Apple's prepping for a reveal as well. The site has a solid track record when it comes to rumors, and it reports that both hardware and software tweaks are in the works for the 12.9-inch slate. Two models, code-named J98 and J99, are reportedly in the testing phase alongside tweaks to Apple's mobile OS to outfit the extra screen real estate. 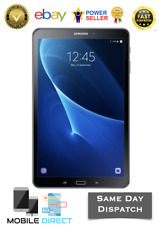 As you might expect, the difference between the two is one is WiFi-only and the other carries both WiFi and cellular connectivity. Among the changes to iOS is a split-screen feature that could be announced for current iPad models as early as WWDC in a few weeks. For the past year or so, Apple and IBM have collaborated on the MobileFirst for iOSproject, a series of 22 enterprise-specific apps for iOS. These apps are designed to help service professionals better perform their duties but for some, constantly fishingout a phone or tablet to access those apps actually hindered their efforts. That's why Apple announced through its website today that three of these apps -- Hospital RN, Field Connect and Incident Aware -- will now work on the Apple Watch. When Apple switched the iPhone to the smaller, simpler Lightning connector back in 2012, it also ditched one of the iPhone's most appreciated accessories: the dock. Yes, for the past three years you've usually had to either buy a third-party cradle or accept that your smartphone would lay flat on its back. At long last, though, you have an official option. Apple has quietly released the iPhone Lightning Dock, a simple perch that keeps any Lightning-equipped iPhone standing while it's charging or playing tunes through the dock's built-in audio jack. 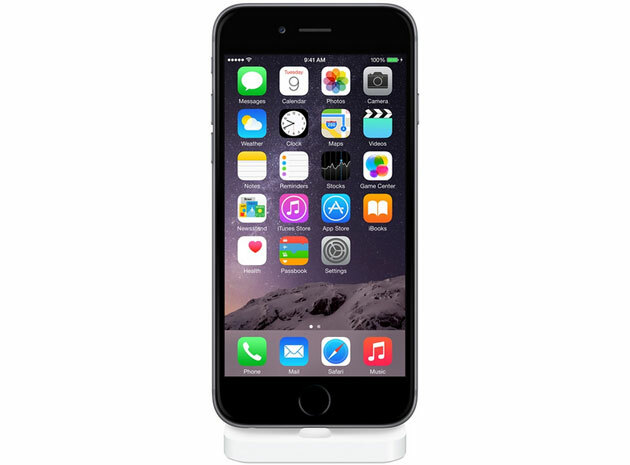 At $39, it's certainly not the cheapest dock you can get. If you insist on first-party gear, though, you can order this peripheral today. Update: There were in fact Lightning-equipped docks before, but they were specific to the 5c and 5s (and the 5 by extension). This dock works with all Lightning-based iPhones, and it'll probably be a good fit for your iPod touch, too. 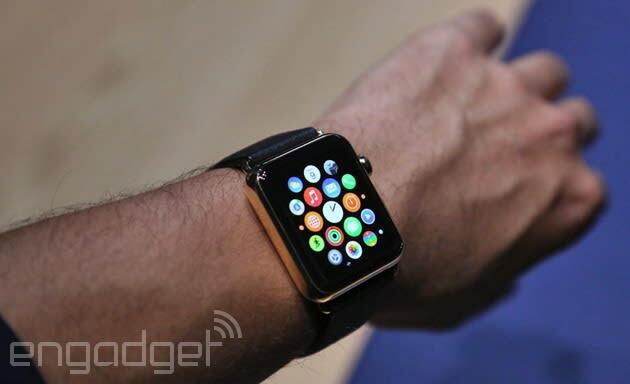 You might not want to try it with an iPad given that tiny base, though. 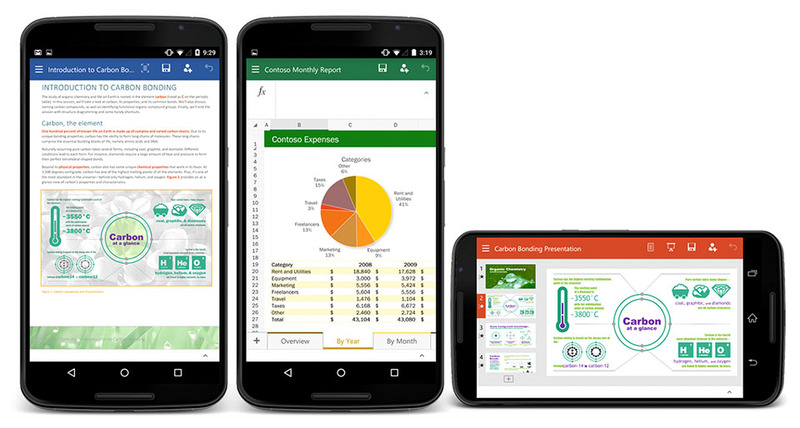 Microsoft has been enthusiastically rolling out touch-friendly Android (and iOS) versions of Office, even before it launches on its own OS. It just outed a preview version for Android smartphones, although this time, Windows did get it first. As with the tablet version, Microsoft said the apps marry the "familiar look, feel and quality of Office" apps -- including Word, Excel and PowerPoint -- to a touch-friendly smartphone experience. You'll be able to open documents not only from Redmond's OneDrive, but also via Google Drive, Dropbox, and a few other cloud services. The Apple Watch arrived on the scene with at least a few rough edges, but the crew at 1 Infinite Loop is trying to smooth at least some of them today. The company has released a 1.0.1 update for the Watch that improves performance across the board, and should be a particular help with third-party apps hosted on your iPhone -- many of which seemingly took forever to load in the original release. The difference isn't dramatic in our experience, but it is there. Your wristwear should also do better jobs with Siri voice recognition and calculating fitness data (such as calories and distance), and the interface supports seven extra languages ranging from Brazilian Portugese to Turkish. This doesn't include any of the big interface-level features hinted at in recent rumors, but it's good to see Apple's first wearable get some much-needed polish. 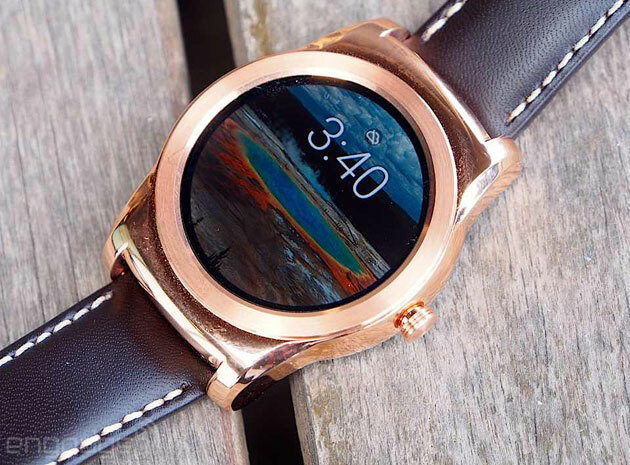 The latest version of Android Wear that Google promised back in April is finally starting to make its way to devices today. 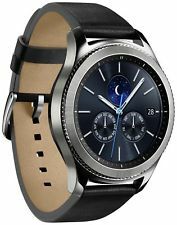 It comes with quite a list of updates, starting with the activation of dormant WiFi chips in the LG Watch Urbane, Moto 360, Sony Smartwatch 3 and the Samsung Gear Live. In addition, apps can now stay visible until you dismiss them, which is the ideal scenario for sports or shopping apps. You can swipe left to access apps and contacts, get notifications even when you're looking at something else on the watch, change your font size and lock your watch screen, as well. 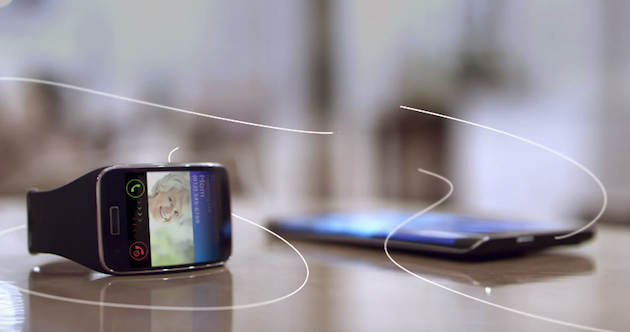 Last November, Samsung introduced Flow, which lets users seamlessly share activities between devices. (Yes, much like Apple does with Continuity.) And while the softwarestill isn't fully baked, the South Korean company is now letting people give it a try -- so long as they have compatible Android hardware. The beta application, available on Google Play, offers a taste of what Flow can do, like allowing you to start reading an article on your smartphone, pause it and pick up where you left off on, say, a tablet. Flow Beta is only available to some Galaxy devices at the moment, and Samsung's encouraging developers to make their apps compatible with its new feature as soon as possible. Sega added that if you already purchased one of these games then you should still be able to download it regardless of it being pulled from sale. However, the company also said that, as the game will no longer be supported, it only be available for you to play up until the point that it “becomes incompatible with the latest phone operating systems or hardware.”The good-ish news is that Sega also said that “given the right situation, these titles may return in an updated form.” But there’s no guarantees of that. Nintendo and DeNA are teaming up to produce smartphone games based on Nintendo properties, and Nintendo president Satoru Iwata says that these games will not attempt to ape other titles that already exist in the market.Speaking with investors and analysts at a financial results briefing, Iwata stated: “I think many of you here already understand that while it was simple for many to earn revenue in the beginning just from creating a smart device application, the situation has been rapidly changing and now, with intense competition, generating revenue on smart devices is no longer easy. I don’t think we can realize what we aspire to by simply imitating a past success formula.”This, Iwata says, will extend to monetization features implemented in Nintendo’s smartphone games as well. Since Nintendo intend to create smartphone titles that can be successful all over the world instead of just one region, the company is aiming to come up with its own methods that it will employ in the smartphone space.“My understanding of how to succeed in the Japanese market now is to find a limited number of generous consumers who are willing to spend a lot and analyze what encourages them to spend,” Iwata said. “However, if we did that, I don’t think that we would be able to entertain hundreds of millions of consumers all around the world or to produce large and long-lasting achievements.”Therefore, instead of relying on a small number of whales, Iwata says that the goal is to amass small payments from a large number of people. The company is also being conscious of that fact that parents need to feel comfortable with their children playing Nintendo games on smart devices, in terms of the amount of money being spent.Says Iwata: “A key term should be ‘wide and small’ rather than ‘narrow and large.’ The basis of our strategy will be how we can receive a small amount of money from a wide range of consumers. However, as people in general recognize that the narrow-and-large method has been outperforming the others, we are investigating where to change in order to surpass existing hurdles. We have had various discussions internally, I have challenged the developers with this issue and they have had many active discussions on the topic.”“We already have some specific ideas and will announce them in due course. Above all, as Nintendo is a family brand, we do not intend on changing the situation where parents and guardians can give Nintendo products to their children with peace of mind. In that sense, we want to pay very close attention to how we receive money.”Nintendo previously announced that they would release approximately five smartphone titles by March 2017. Jamie Doward reports at The Guardian that according to a recent study in the UK, the effect of banning mobile phones from school premises adds up to the equivalent of an extra week's schooling over a pupil's academic year with the test scores of students aged 16 improved by 6.4% after schools banned mobile phones, "We found that not only did student achievement improve, but also that low-achieving and low-income students gained the most. We found the impact of banning phones for these students was equivalent to an additional hour a week in school, or to increasing the school year by five days." In the UK, more than 90% of teenagers own a mobile phone; in the US, just under three quarters have one. In a survey conducted in 2001, no school banned mobiles. By 2007, this had risen to 50%, and by 2012 some 98% of schools either did not allow phones on school premises or required them to be handed in at the beginning of the day. But some schools are starting to allow limited use of the devices. New York mayor Bill de Blasio has lifted a 10-year ban on phones on school premises, with the city's chancellor of schools stating that it would reduce inequality. The research was carried out at Birmingham, London, Leicester and Manchester schools before and after bans were introduced (PDF). It factored in characteristics such as gender, eligibility for free school meals, special educational needs status and prior educational attainment. "Technological advancements are commonly viewed as increasing productivity," write Louis-Philippe Beland and Richard Murphy. "Modern technology is used in the classroom to engage students and improve performance. There are, however, potential drawbacks as well, as they could lead to distractions." iPhone 6S to feature Force Touch and rose gold colouring? The next iPhone (potentially the 6S) is expected to feature Force Touch and may enter mass production in late August this year, according to an analyst. 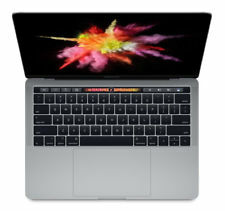 KGI Securities analyst Ming-Chi Kuo has issued a note to investors, which suggests that the new iPhones will come with Force Touch, the pressure-sensitive display technology that has also been built into the Apple Watch and new MacBook. 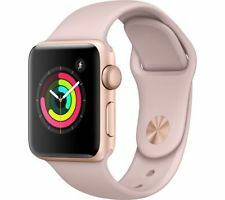 Kuo has also predicted that the devices will be available in a new rose gold colour edition, and says that a four-inch model has been scrapped. According to MacRumors, the alleged iPhone 6S and iPhone 6S Plus may also have a 12MP camera, an A9 processor with 2GB LPDDR4 and gesture control. In addition, the iPhone’s Touch ID is set to be improved to help promote Apple Pay, while screen sizes will remain the same at 4.7 and 5.5 inches. 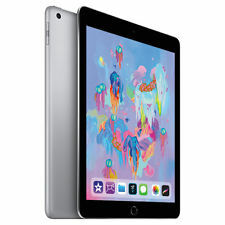 This news comes after reports suggested that Apple may be installing an improved touch panel on its rumoured iPad Pro. The panel uses silver nano wire material instead of ITO-based clear film, and will have greater accuracy and sensitivity. 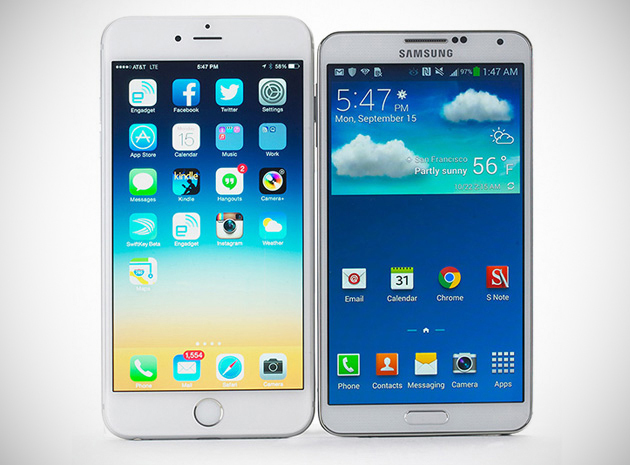 Apple launched its iPhone 6 and 6 Plus smartphone last year, which feature an 8MP iSight camera and an A8 processor. The Great Apple/Samsung Legal Throwdown of 2012 ultimately resulted in the Korean company having to pay a whopping $930 million in damages for violating Apple intellectual property... or it did, until this morning. A Federal Circuit Court of Appeals ruled earlier today that while Samsung did indeed violate Apple's design patents, it didn't do the with same Apple's trade dress — broader elements of design and aesthetic that dictate the presentation of Apple's gadgets. With that bombshell dropped, the court has asked for an update on the damages to be awarded sans the trade dress stuff, which should work out to a roughly $382 million discount for Samsung. 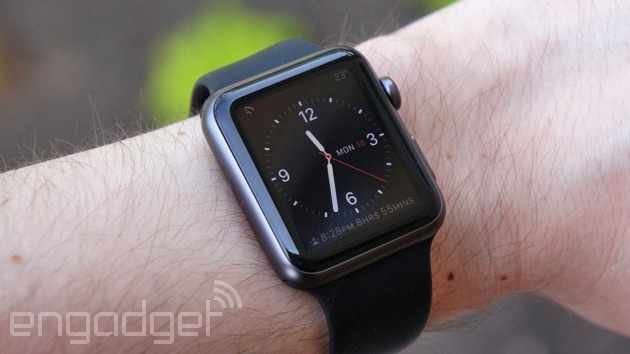 Apple Watch apps aren't all about sorting payments and getting notifications. There are plenty that play nice with your car, too. Following the likes of BMW andVolkswagen, Mercedes-Benz announced its own software for the wearable that provides walking directions to and from where the car is parked. Using the MB Companion app, Mercedes owners can also search for driving directions from the Apple Watch or and iPhone before they even sit down in the driver's seat. As you might expect, info like fuel level, range, maintenance codes and and odometer readings can be swiped through on your wrist, too. When it arrives this fall, the app will work with Mercedes-Benz C-Class and S-Class vehicles that sport the Command Online tech, and support for other models is said to follow after launch.